Do you get cabin fever during the winter? I do leave the house every day to go to work, but being cooped up indoors on weekends with an active 2 year old can be exhausting. 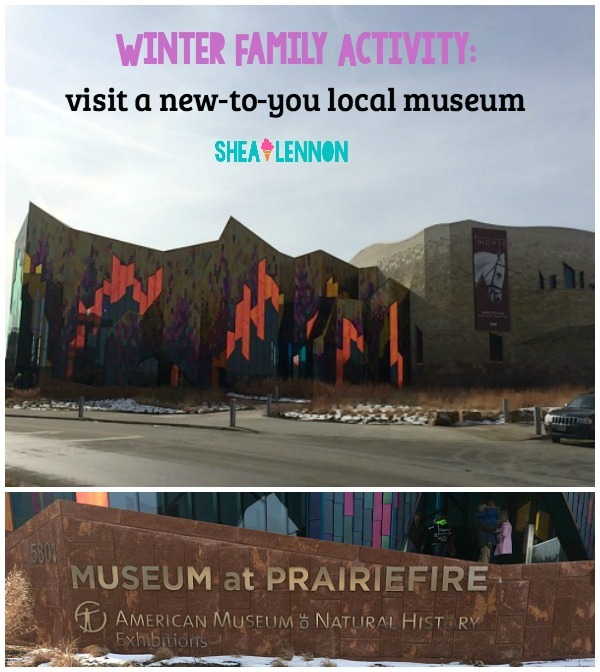 Last month I decided to take advantage of a winter-friendly indoor activity: a museum visit. 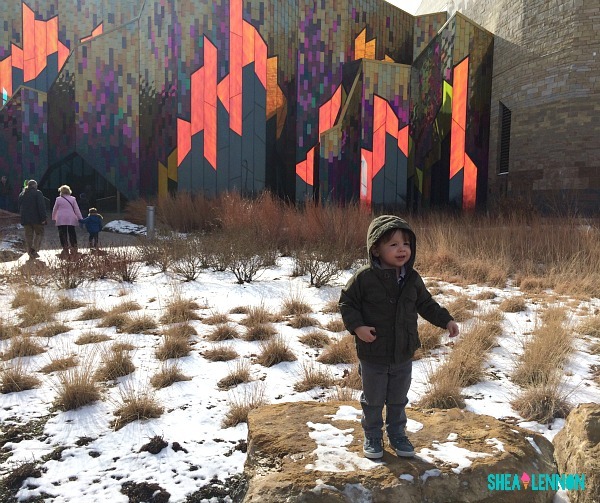 We took Jona to the Museum at Prairie Fire, a natural history museum. While he is still a bit young to get the most out of what the museum offers, it was still entertaining (and much better than sitting at home). If you’re in the Kansas City area, I recommend visiting this museum, especially if you have kids. Entry into the main part of the museum is free, and includes a huge dinosaur skeleton, fossil exhibits, and several interactive displays. 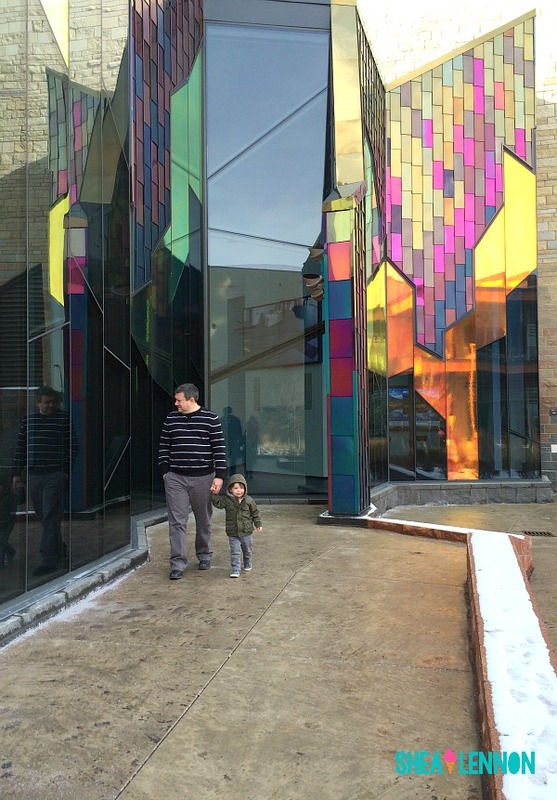 Plus the building itself is beautiful, with colorful stained-glass windows! 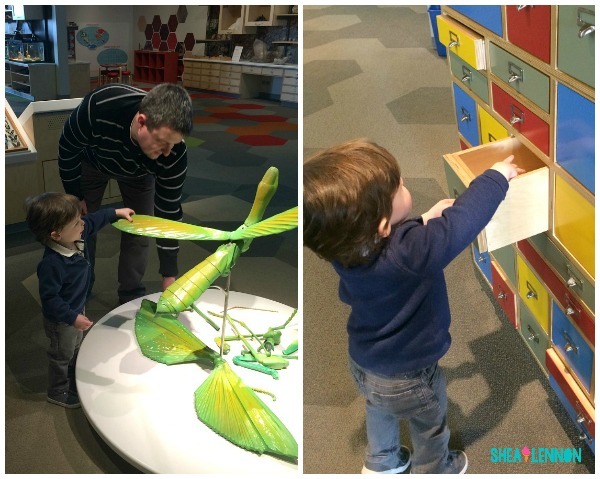 They have a Discovery Room especially for kids, and admission is $8 a person (children under 3 get in free). 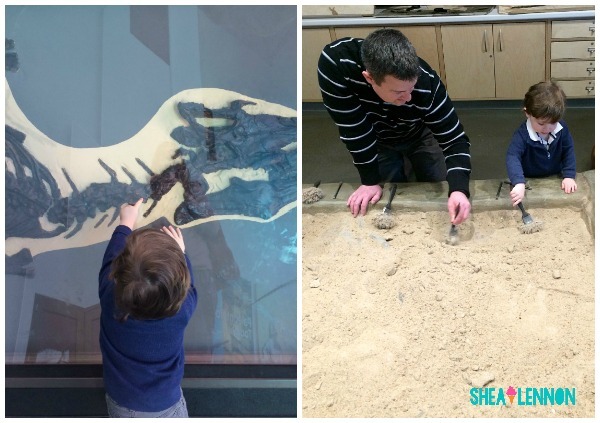 For $8, there is a LOT for kids to do, from digging dinosaur bones and putting together a giant praying mantis to looking at various materials and slides under a microscope. Elementary-age kids would have a blast visiting the numerous stations. However, the number of toddler-friendly activities was more limited; there just wasn’t much Jona was big enough to do. He still had a lot of fun (and I think it was worth the $16 we spent just to get out of the house!) but keep that in mind if you plan a visit with little ones. Visiting a nearby museum, especially one you've never been to before, is a great activity to do in the winter. Many museums are free, but even those that aren't often offer special discounts on certain days. Do a little research online and find one that's new to you, and make a plan to visit. It's a fun family activity, but you could also make it a date night, depending on the museum you pick. Have you visited any museums lately? Tell me your favorites so I can be sure to visit if I'm ever in your city!